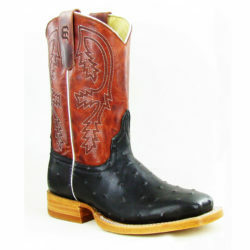 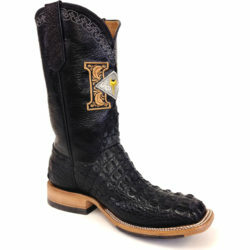 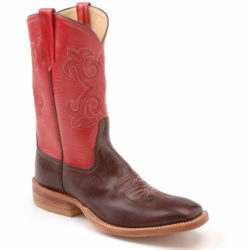 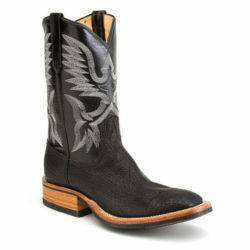 Black python boots by Rios of Mercedes Boot Co. 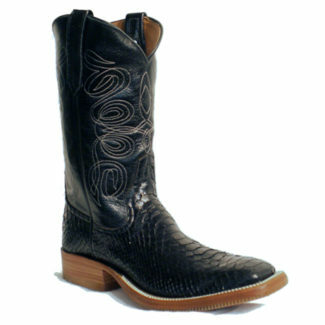 These boots have a vamp made of real python and a calf skin top. 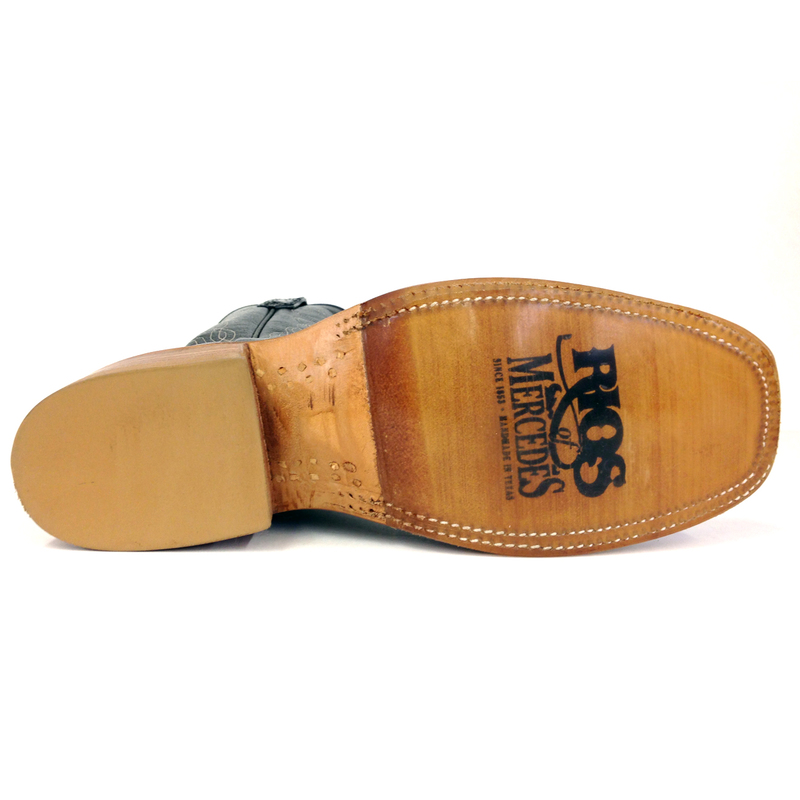 These boots feature a clear neoprene sole designed for maximum grip and durability without having the bulky, industrial look of most other neoprene soles. Milan Toe (Square).